6-member South Korean male idol group VIXX will be holding their first solo showcase in Malaysia on October 2013. 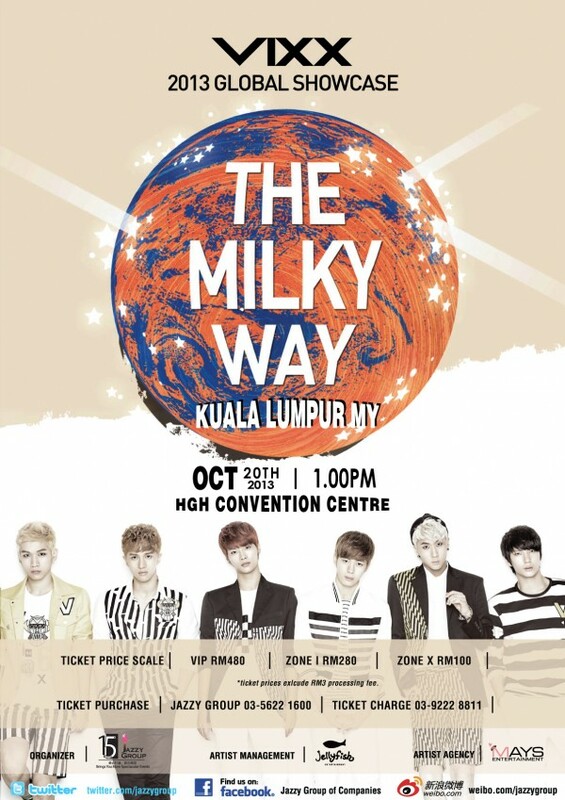 The ‘VIXX FIRST Global Showcase 2013 – THE MILKY WAY Live in Kuala Lumpur’ will be held in HGH Convention Center on the 20th of October 2013, 1pm. azzy Group are proud to bring VIXX to Malaysia for their very first showcase to fulfill the wishes of fellow ST☆RLIGHTS. We know that the fans out there have long waited for them to set foot in the ground of Malaysia. Feeling excited to finally meet the handsome and talented boys of VIXX? It is now your chance to grab this opportunity as this will definitely be a spectacular showcase that you have ever dreamed of! VIXX, a six member Korean boy band under Jellyfish Entertainment is now on their way to Dallas, Texas to have their very own showcase! This talented boy band debuted in 2012 with their debut song “Super Hero”. They are the first idol group under Jellyfish Entertainment and this has sparkled interest of the public since the beginning of their debut. Even only after a short period of time since they debuted, they had already launched few of their single albums as well as mini albums. They have received more recognition from the public with their mini album “Hyde” and repackaged mini album “Jekyll”, with “Hyde” revealing a darker side while “Jekyll” is filled with bright atmosphere that is the counterpart of “Hyde”. 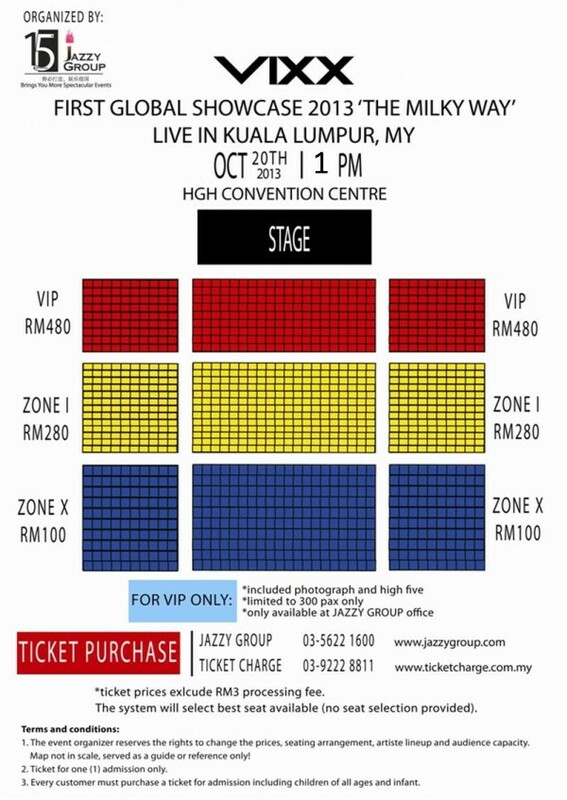 For the first 300 fans those purchase the VIP Zone, will entitle to get passes for High 5 and Photograph session with the boys! So, what are you waiting for? Grab your tickets now to stand a chance to get these passes! It’s an incredibly rare opportunity just for you, fellow ST☆RLIGHTS! We will start selling the tickets tomorrow morning (18/09/2013), 10 am at JAZZY GROUP office only. If you wish to purchase the tickets via online through ticket charge, it will be starting on Thursday (19/10/2013) at 10am onwards. VIP tickets (limited 300 pax), which include high five and photograph session, only available in JAZZY GROUP office. You may come to our office or call our hotline 03-5622 1600 to purchase the tickets. Hurry up and grab the VIP tickets before it sold out!